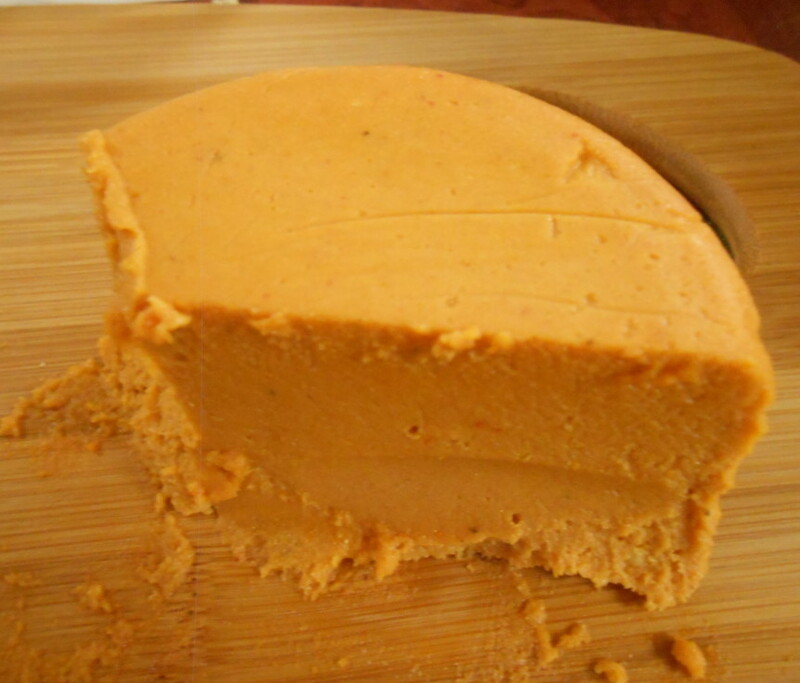 Vegan Cheddar Cheese Recipe - Vegans Eat What? This plant cheese can be sliced and used to replace dairy cheddar in any recipe. We like to serve it with crackers and fruit for a super starter or snack. Put the water and agar flakes or agar powder in a small saucepan and bring to a boil. Reduce the heat and simmer on medium for 15 minutes, stirring frequently. Meanwhile put all the remaining ingredients in a blender. Add the hot agar water and puree at high speed for 2 to 3 minutes or until the mixture is velvety smooth. You may need to scrape the sides of the blender once or twice. Pour the cheese into a glass mold and chill overnight. *Important Note on Using Agar: Agar is the plant alternative to animal gelatin. You can use agar powder (sometimes called agar-agar) or agar flakes. The amount of agar you use will vary depending on whether you use agar flakes or agar powder. Some conversions call for 1 teaspoon of agar powder for every tablespoon of agar flakes. We use less – closer to ½ teaspoon agar powder for every tablespoon of agar flakes. However, we encourage you to experiment to find the consistency you like. Remember, if have a high speed blender you can skip the presoak. This recipe is from Valerie Wilson.